Following the review of the Bovine TB Eradication Group for England (TBEG), Jim Paice today announced a new Bovine TB Eradication Advisory Group for England (TBEAG). TBEAG will continue the valuable work carried out by the previous group, and the membership will be broadened to include additional areas of scientific expertise and wildlife and conservation knowledge as well as a broader range of farming experience. 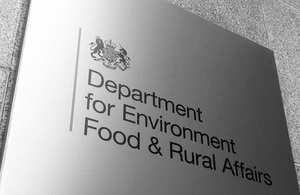 TBEG was set up in November 2008 to provide advice to Government on tackling bovine TB which continues to be one of the most pressing animal health issues in England, with significant economic impacts on both farmers and the public purse, and with its eradication likely to take many years. “Bovine TB is a devastating disease and one of the most serious challenges facing the British cattle farming industry. Last year it lead to the slaughter of over 26,000 cattle, and it costs the taxpayer over £90m a year in England alone. “The TB Eradication Group for England has provided excellent advice over the last four years, and I’m pleased their work will continue with the new advisory group which brings together the farming industry, veterinary profession, and Government to tackle this terrible disease together”. The new group will be a subgroup of the Animal Health and Welfare Board for England. The Board brings independent experts from outside Government together with the Chief Veterinary Officer and civil servants to make direct recommendations to Ministers on strategic policy affecting the health and welfare of kept animals such as farm animals, horses and pets. The new group will hold its first meeting in July under the Chairmanship of John Cross, current Chairman of the English Beef and Lamb Sector Body (EBLEX). “If the cattle industry is to rid itself of this hugely damaging disease, it will require a new way of thinking, a clear action plan and a doggedly determined approach to the challenge. John Cross is a former Chair of the Animal Health and Welfare Committee of the NFU and farmer of a mixed livestock and arable enterprise in Norfolk.